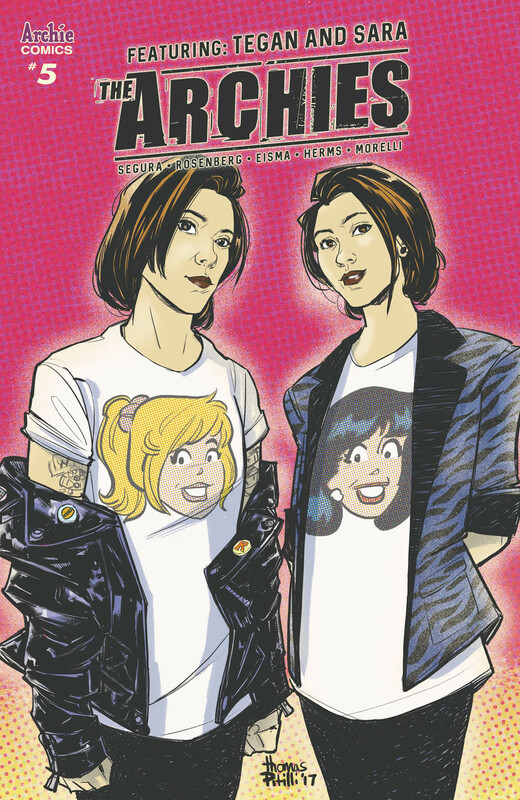 After a major meltdown leads to one of their one quitting the band, The Archies will turn to indie pop sirens Tegan and Sara to help them get through a major crisis! Will things get patched up in time for their next show or has The Archies' tour gone kaput? 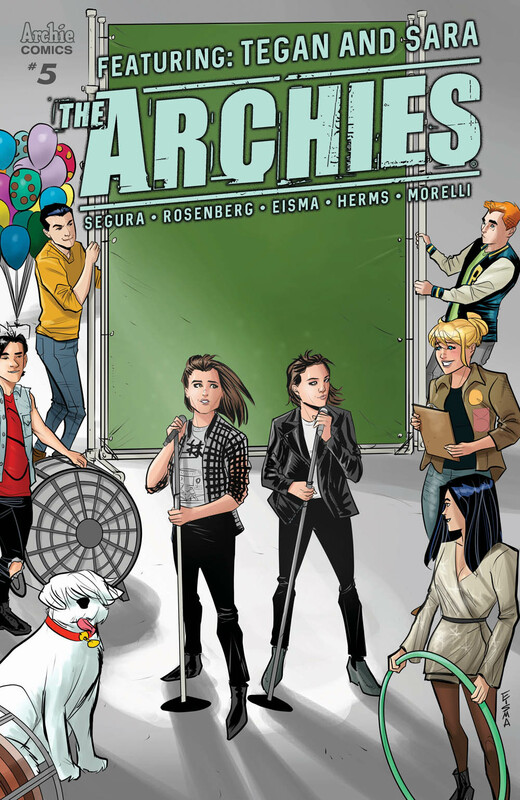 "I love the mix of acts we've gotten to jam with the Archies, and Tegan and Sara are no exception," said co-writer Alex Segura. 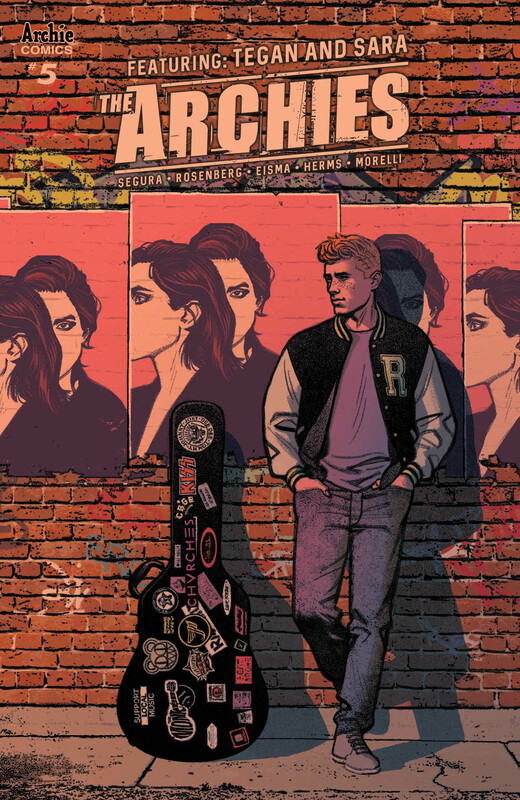 "The fun part about writing this series is that the groups coming in get to meet the Archies at different points in their musical journey, and this issue will find the Archies at a major crossroads - one that might change the makeup of the band forever."